The Newsletter is distributed free to members and to island families. Spare copies are initially reserved for new members or extra copies for members. - see the Association Shop for details. Please note: Longer articles and many images are reserved for the newsletter and not available on the website. Items ( Copy in Word format or JPEG photographs please) for future editions will be very welcome. as several good articles are held over and others rejected through a lack of space. Contributions to the newsletter in the form of items of news, ideas for articles and photographs are welcome. It will be assumed, unless specifically requested otherwise, that items offered for use in the newsletter can also be used for the website and by the Tristan Government and / or the Tristan Association for marketing and publicity purposes. 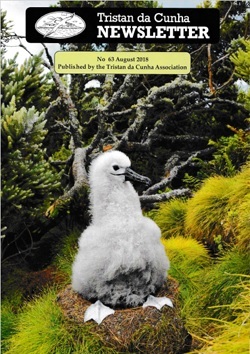 A selected portfolio of good quality digital photographs are available to publishers to raise money for the Tristan da Cunha Island community. Contact Richard Grundy on newseditor@tristandc.com for details. 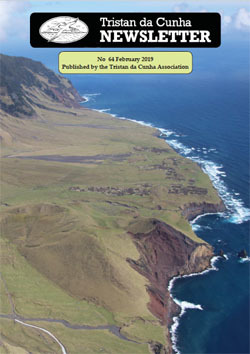 It is hoped that the Newsletter will be an important vehicle to keep Tristan Islanders throughout the world in touch with each other. Photographs and brief personal details are invited for the regular Islanders' Abroad feature. Obviously the Association hopes Islanders will want to join the Association and take part in the expanding programme organised by the committee.